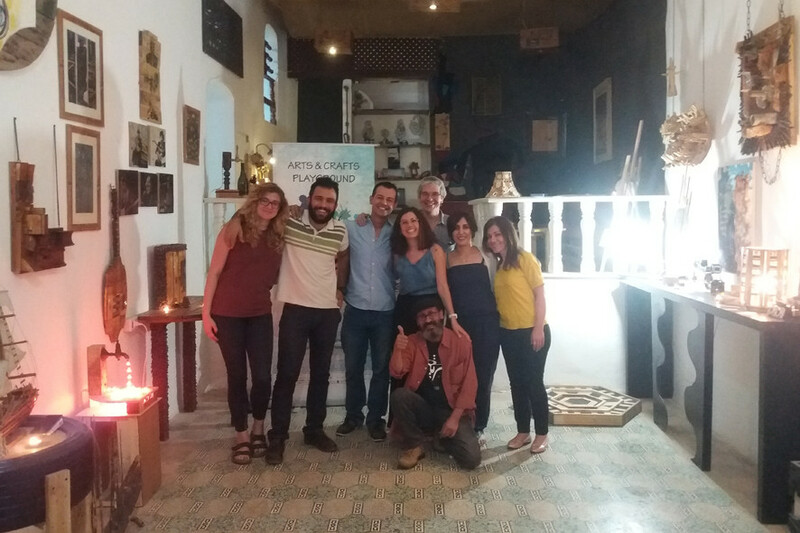 Between June 11th and 14th, SouthMed CV coordination team visited Amman, Jordan, where a meeting was held between Consortium leader Interarts and Jordanian Partner NCCA- National center of culture and Arts, to plan SouthMed CV’s final conference in the region that will take place beginning of December 2017 in Amman. The event will be attended by sub-grantees from both calls that will participate in different panels, and cultural experts from the Mediterranean Region. Lectures addressing the different issues related to culture in the region will be delivered. The Conference will be open to anyone interested. A) Tajalla and Atabet Fann, implementing the project ‘Tashbeek’’, which aims to train and build the capacities of cultural workers and artists from the different regions in Jordan, and form a sustainable network to bring these people together. B) Crossroads for Media and Art, implements the project ‘Arts and crafts playground’, consisting of a space to which invite artists to work and produce art from available material that will otherwise be waste, this project also organises courses and workshops for artists and children, and it combines waste management and artistic production. C) Ma3mal 612, implementing the project ‘ANHAR’, which is a network of human rights film festivals, aiming at establishing exchanges, dialogue and support in between organisations and festivals of the Southern Mediterranean region. D) Spring Sessions, implementing the project ‘Madrassa’, between Jordan and Morocco, which is a training and residency programme for curators and cultural managers in the region of the southern Mediterranean. The visit to Amman was enriching and successful: a programme for the final conference was drafted, a more in depth knowledge about the cultural scene in Amman and in Jordan as well as a closer look of the sub-granted projects being implemented in Jordan were achieved, and the visit to the EU delegation was a success. More information will be soon published about the December conference on SouthMed CV webpage and social media.